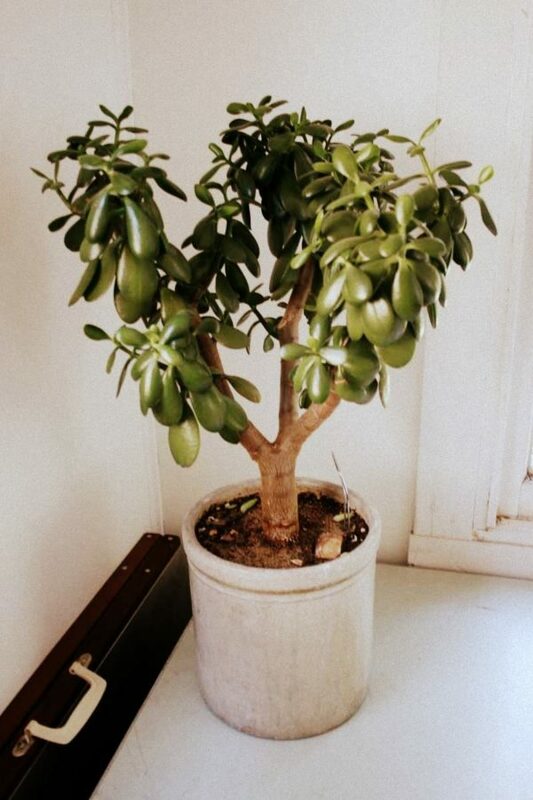 In the Summer of 2007, after complimenting a client on her jade plant, Timothy received a cutting from the plant as a tip. Since then, that cutting has grown into a small tree which has become a part of our family. “Salinger”, as our plant came to be known, has survived a complete DIY home renovation, where it was moved from room to dusty room for two years, a move across the country where it was packed in the front seat of a car for several days, a few years in the window of our gallery in Seattle, a trip down the coast to sunny Oakland, and all sorts of moving about as we established our new studio in the East Bay. Salinger has gone through several violent repottings and prunings of its own branches as it has grown larger and larger. This plant has been through so much with us that we can’t simply throw away the cuttings that result from each pruning. So we started replanting them and giving them to friends. But when the number of cuttings started to get out of hand, we decided to try giving them away to strangers instead, and keeping track of where the cuttings go, how they grow or die, and turning the whole thing into a kind of experiment in arbitrary social networking we’re calling “Family Tree”. 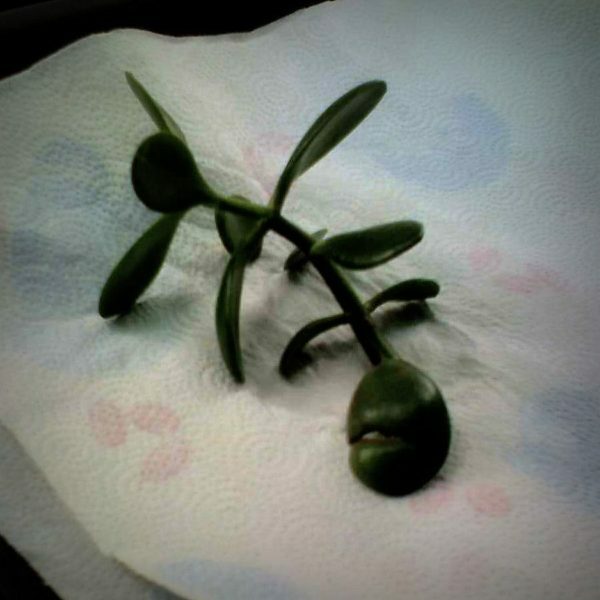 In April 2012, we distributed the official first generation of jade cuttings. The second round goes out in 2013. We will continue to update this site (and the FICTILIS Facebook Page) with photos of the offspring on a yearly basis. We hope that new adopters will come to distribute generations of their own, and keep track of their cuttings, enabling us to track the entire extended family tree. We will occasionally post updates about our family – including Phoebe, Giant, Pickles, Gimli, Steven, Kitten, RainDragon, Suki, Clementine, Newbos, and Truey Augurtha – so check back soon! Like most American families, we hope that our children will choose to procreate and distribute generations of their own. If you are interested, the internet (as usual) knows all about how to grow a plant from a cutting. Once you have a set of cuttings ready to go, get in touch, and we’ll set up our adoption form to make sure we can track your offspring and enroll the adopters in our yearly email. We’re about to distribute our next cohort of plants in Oakland, California. We also may have some cuttings available in Seattle, WA soon. Please email family-tree at fictilis dot com if interested. http://ofbonsai.org/species-specific/tropical/the-wonderful-and-varied-jade-and-other-crassulas. You’ll get an email once a year, on the anniversary of your jade’s adoption, asking for a photo of your plant. That’s the extent of the involvement you’re committing to. (Of course, we’d love it if you started your own branch of the family tree and found willing adopters of your jade’s cuttings – but that’s optional.) Please email family-tree@fictilis.com for adoption appointments. This is not a joke. Serious inquiries only.